From its founding in 1767 up to 1914, there were no medical doctors in Norka. As they had for centuries, certain people in the village, known as Braucherei, practiced folk medicine to cure common ailments. 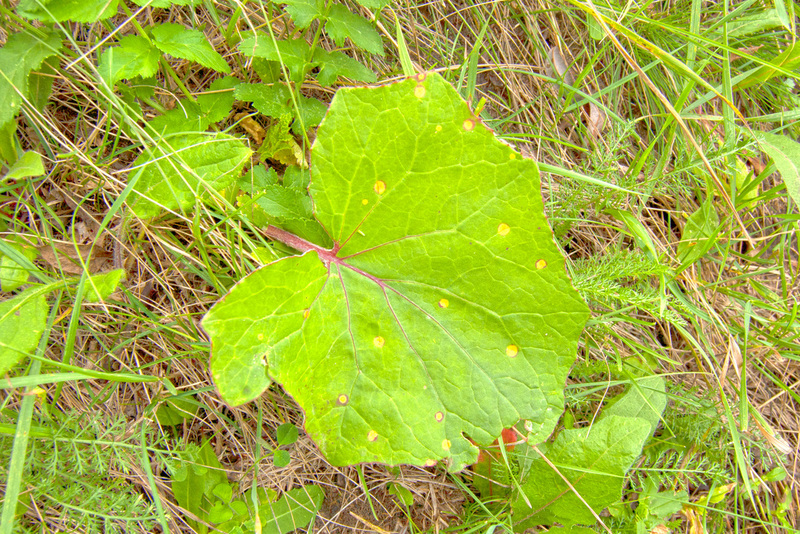 According to Konrad Urbach, the leaf of this plant (found growing in Norka in 2006) was placed over cuts to make them heal quickly. Courtesy of Steve Schreiber. The excerpt below is from an interview with Catherine Bauer on October 14, 1938. Catherine Bauer was born in Norka in 1853 and lived there until 1892 when she emigrated from Norka to the United States and settled in Lincoln, Nebraska. The full interview is posted on the Library of Congress website. We lived in Norka, Russia, and did farming and weaving. Times were not good there and we did not want the boys to go in the army. We couldn't do as we wanted to there either. The schools were poor and did not teach much. I took care of many sick people and helped in childbirth. There was one doctor in each community but women neighbors did most of the work for the sick. I liked this work and made up medicine for lots of people. It doesn't seem like people got sick in Russia like they do here and did not have the nervous diseases. These remedies were always good. Fried onions for a cold. Sour apple juice for fever. Mud for bites. For headache and stomache ache we just bore it out. No medicine. They did not know much about appendicitis and didn't cut people open. Bowel trouble was hardly ever heard of. People ate coarse black bread and boiled vegetables more and worked lots. Gall trouble was the worst disease there and killed more people. The water was poor and they got most of their trouble from it. Kerosene was given for croup. Homemade butter for cuts and wounds. Strong tea for sore eyes. Hard boiled egg yolk, wax, butter made into a paste was used for burns and it was very good. When we get into the subject of folklore, it must be remembered that in the days our ancestors lived in the Volga area villages, they were totally on their own. Neighbors helped each other in any way possible, as long as it didn't infringe too much on their own family activities or comfort. Most of the immigrants were hard working people who came to depend on each other for exchange of help with their farm work, advice if ones neighbor had illness or death of one it's family members. It was a rare village that had a doctor with any medical schooling. Most learned from just everyday participation of helping others in the village overcome some medical problem with treatments or application of medical things someone else said had helped so and so with a similar condition. The art of "bleeding" a patient with high temperature was developed and practiced until after WWI and then we started to find fault and discontinue it, but recently I heard some doctors are using it again. The people who did it in the villages weren't doctors as we know them today, but ordinary citizens. Barbers did a lot of this work even in the United States in predominantly Volga German neighborhoods. They called it "schreffing" and it was designed to make small incisions on a fingertip, which was allowed to bleed and supposedly would bring the fever down. My Uncle Weber did schreffing in Norka, and some of his equipment is still in the family heirlooms. A common remedy for burns, pinkeye and other eye maladies, was to flush the eye out with your own urine. I have seen this done many times by different people. I believe that the first time a child burned himself on the hot stove on a winters night, his parent told him to get the potty and go wee wee on the burn and it would quit hurting and feel better and usually it did. Warts, boils, carbuncles and such were treated in many like methods, but I remember best that you cut a potato in half and held it to the wart giving it a quarter turn as you said, "in the name of the father, the son and the holy ghost." You then buried the potato. This you did for seven nights if you remembered it that long and didn't have to start over. If the parents had the garden planned, you could grow nice potato plants from each night’s buried potato providing you placed them in a straight row. Breast-feeding is starting to come back. When I was a child I never knew anyone who wasn't breastfed. We had poor women in our neighborhood that had babies almost yearly. Some women would go into another room when they nursed their babies, others placed a baby blanket, or holzduch, over the baby and breast. There were some women who never covered up and it was never frowned on, but the one incident I will never forget, is of a neighbor lady, who was breast feeding her one infant while rocking in her rocking chair, every mom had one for rocking baby, this ladies older child stood on the side rungs of the rocking chair, beside it's mother begging for a breast, and she laid the other breast across her arm or shoulder and that child nursed as she rocked and nursed the infant. I saw a wife rocking a child to sleep in a baby crib with her foot, while she rocked two others to sleep on her lap, while singing them religious songs. Many times a neighbor would breast feed a new baby for a mom with milk shortage. The Volga Germans used mint (especially peppermint for a variety of uses. A tea brewed from the leaves was a traditional cure for colic, intestinal complaints and stomach problems. 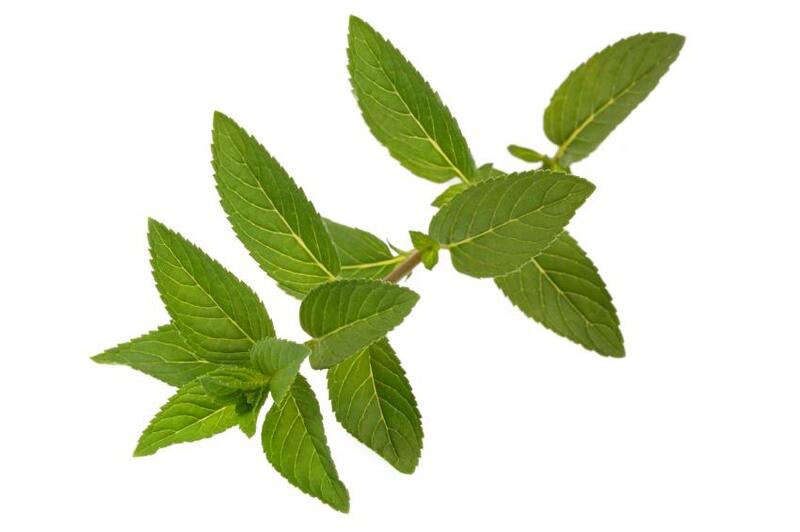 Sprigs of mint were also used to repel evil influences. "Interview of Catherine Bauer." Library of Congress. Trans. Harold J. Moss. 1938. Web. 21 Aug. 2014. <http://www.loc.gov/item/wpalh000989/>.